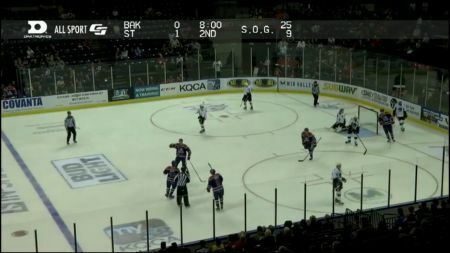 The Bakersfield Condors of the American Hockey League will be offering $5 margaritas and $2 sodas for their game against the Tucson Roadrunners on April 10 at the Rabobank Arena. This is a great opportunity to witness the best Condors hockey team ever assembled before they start in the Calder Cup playoffs. The Condors currently lead the Pacific Division with 79 points. They have a record of 37 wins, 17 regulation losses, three overtime losses and two shootout losses. The Roadrunners have 67 points and are four points back of the Colorado Eagles and San Jose Barracuda for the final playoff spot in the Pacific Division. Tucson has a record of 30 wins, 23 regulation losses, five overtime losses and two shootout losses. Bakersfield's leading scorer is Tyler Benson, who has 14 goals and 43 assists for 57 points. Tucson's leading scorer is Lane Pederson, who has 19 goals and 21 assists for 40 points. The Condors last win was a dominating 7-0 victory over the Ontario Reign on March 16. Shane Starrett made 23 saves for the shutout, while five Condors players had multi-point games. They were Ethan Bear (two goals and two assists for four points), Benson (one goal and three assists for four points), Mitch Callahan (three assists), Jakob Stukel (two goals) and Cooper Marody (one goal and one assist for two points). Get your tickets to see the Bakersfield Condors and the Tucson Roadrunners on April 10 at the Rabobank Arena today!